Learning your first DAW is a challenging and memorable experience, and for those of us in game audio, learning audio middleware brings similarly insightful rewards. Not only can you experience the uncanny magic of syncing sounds to animations, you can also witness the characters and environments come alive with even the simplest of audio assets. Before you know it, you’ve learned how to randomize parameters, create adaptive music, and set up realistic reverb zones to where you almost think you can smell the floor polish in your scifi hallway scene. When considering an audio middleware solution, it’s no secret there are many options out there; and CRI Middleware is here to make that choice even tougher with competitive features. 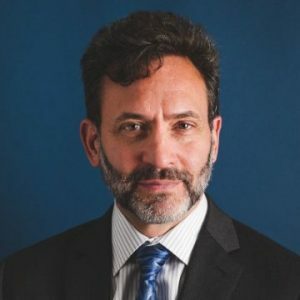 We spoke to Adam Levenson, CRI Middleware’s General Manager for Europe and North America, about the company’s long history in video games and CRIWARE, their champion product with impressive tools and workflows for implementing audio and video. Hello! Thanks for speaking with us. Could you tell us a little about yourself and how you got started at CRI Middleware? Adam Levenson: I started in the game industry around the time that Myst came out for the Mac. That’s a really long time ago! Fast forward 23 years, I met Ray Nakazato (Executive Officer) and Masao Oshimi (President) from CRI Middleware at GDC 2016. We walked out of that meeting knowing that we should be working together, and just a few months later, I started in my position as GM of North America and Europe. CRI Middleware was incorporated in 2001, but the company has a long history in games. Could you tell us a little about it? AL: In 1983, CSK Holdings Corporation, a technology company that owned video game giant Sega, formed a new R&D division called CSK Research Institute Corp (CRI). Later that year, CRI developed Japan’s first CD-ROM software, After Burner for the Fujitsu FM Towns system. In 1993, building on knowledge and experience gained in CD-ROM technology, CRI contributed to the development of the Sega Saturn game console: CRI developed the Saturn’s BIOS file system, development tools, and provided technical support. Then in 1996, CRI released two ground-breaking codecs that would form the core of the company’s future business: ADX for audio and Sofdec for video. Throughout the ’90s, in addition to its work in technology, CRI developed 17 video game titles for the Sega Mega Drive, Mega CD, Sega 32X, Sega Saturn, and Sega Dreamcast. In 2001, after four years of development on Sega’s revolutionary Dreamcast console, CRI was reformed as an independent company and rebranded as CRI Middleware. What CRI did next was the beginning of a project development methodology that has since led to multiple successful product releases: they built APIs to playback the ADX and Sofdec codecs, and then developed the authoring tools to script advanced interactive cues. This combination of codecs with APIs and authoring tools formed the game industry’s first game audio middleware offering called CRIWARE. Beginning in 2001, CRI began releasing the CRIWARE SDK first for next generation consoles including PlayStation, XBox, Game Cube, Wii, and then by 2010 for iOS and Android mobile platforms. In 2014, CRI Middleware became a public company listed on the Tokyo Stock Exchange. Since its release, over 3500 games have used CRIWARE including titles that used ADX2, Sofdec2, or both. Another impressive statistic is that over 1400 titles have used CRIWARE since 2012. Since CRIWARE is bundle of a few programs, could you first go into detail about the ADX2 audio middleware and the AtomCraft authoring tool? AL: ADX2 offers the most efficient workflow available in game audio middleware, and because the AtomCraft authoring tool is modeled after popular DAWs, ADX2 is intuitive and easy to learn. • Basic tasks are ultra-fast, and complex interactive behaviors are a pleasure to design. • Sound designers can import movies directly into ADX2, so there’s no need to open an external movie player. 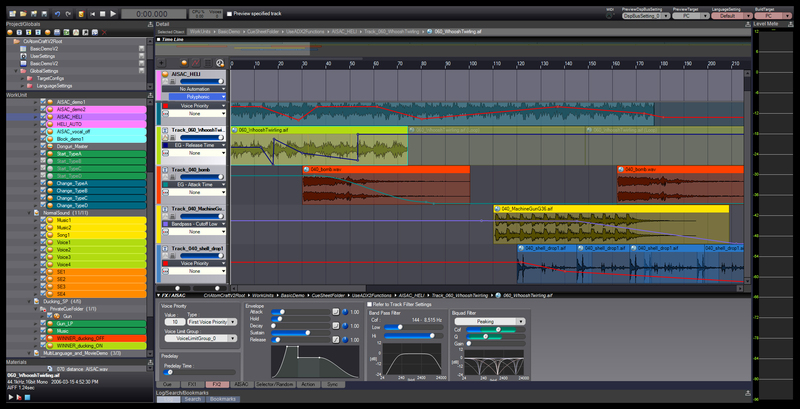 • Sound designers can use AtomCraft to author game audio events to linear, in-game movies like cutscenes, and cinematics. • Easy integration with Unity®, Unreal® or your native game engine. • Proprietary audio codecs offer blazing-fast playback and low CPU footprint. • The uniform and coherent API is easy to learn and use. • Plus, there’s object-based binaural rendering support for PlayStation VR, Oculus Rift, HTC Vive, and Samsung Gear VR. 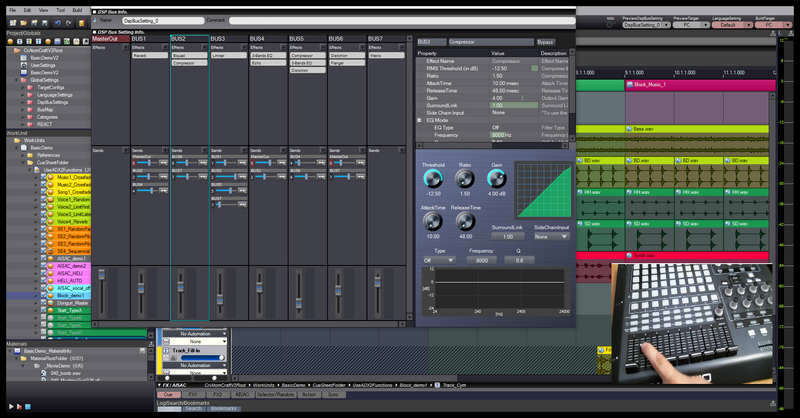 • Because decoding is performed after the mixing stage, you can play many voices for the cost of decoding just a few. CRIWARE also includes Sofdec2, a video encoder and movie player that has been used for such games as Destiny, Bayonetta 2, and Metal Gear Rising: Revengeance. Could you tell us more about it? AL: Games with visually stunning cinematics use Sofdec2 to provide video at the highest quality. Sofdec2, with the Sofdec.Prime proprietary video codec, provides an alpha movie channel that opens up additive blending in a single pass. Additionally, you can play multiple movies simultaneously, or seamlessly concatenate for sequential playback. Sofdec2 provides level designers with cool tools like projecting movies on 3D surfaces. Does AtomCraft support any haptics or synthesis plugins? AL: CRI offers industry-leading haptic support for Android games. The CRI HAPTIX SDK enables developers to author tactile effects using the power of the AtomCraft authoring tool. CRI HAPTIX includes a pre-made library of 30 vibration patterns, from UI button clicks to weapon, explosion, engine, and texture effect patterns, and allows haptic designers to edit and shape unique haptic effects. CRI HAPTIX was developed in collaboration with Immersion Corporation, the global leader in development and licensing of haptic technology. Immersion has been working with mobile developers to bring tactile effects to well-known mobile titles like Rovio’s Angry Birds Friends, Rockstar Games’ Grand Theft Auto series, Ubisoft’s Trials Frontier, and Sega’s Sonic series. CRI HAPTIX opens up a new level of haptic creativity to Android game makers. With a lot of strong competitors out there, how does ADX2 separate itself from the rest? What can we look forward to in CRIWARE’s future? • Developing immersive game experiences calls for more complex interactive dialog, and that means huge asset counts that multiply with each localized language. 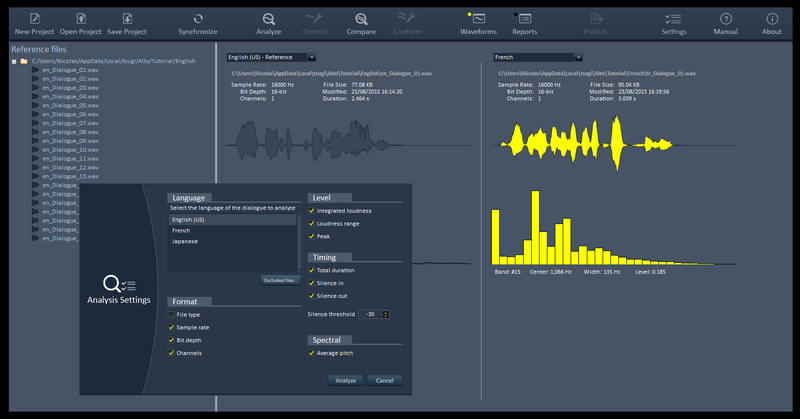 • Alto Studio provides automated analysis, audio correction processing, and more features that deliver high fidelity and easy to use dialog asset management and localization. • Alto Studio is used by major game studios and drives dialog in award-winning titles. • As new platforms emerge, game progression is becoming far less predictable and audio designers need access to powerful procedural solutions. 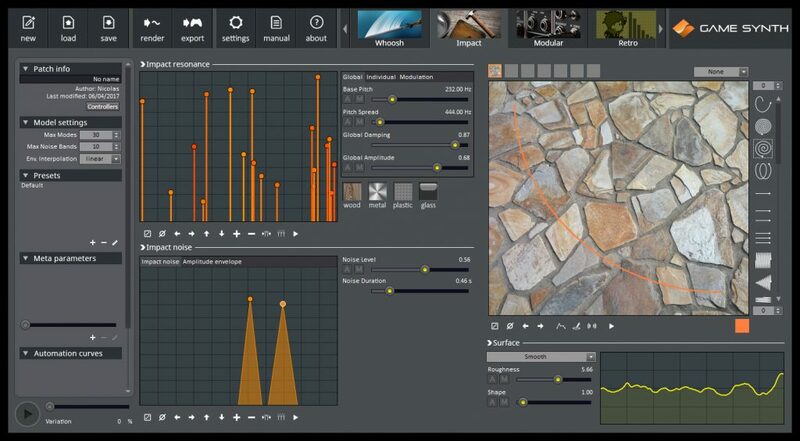 • GameSynth is an advanced procedural sound design tool and run-time engine offering multiple models including whooshes, impacts, contacts and visual patching, all wrapped up in an intuitive, modern user interface that inspires creativity. GameSynth is modular and extensible, and more procedural models are coming soon. Finally, where can people go to learn more about creating interactive audio in ADX2 and get set up with an evaluation license? Thank you to Adam Levenson for giving us a look into the CRIWARE middleware solutions. Be sure to check out the concise and informative tutorials on their YouTube channel and get set up with an evaluation license to see the workflow and features for yourself.